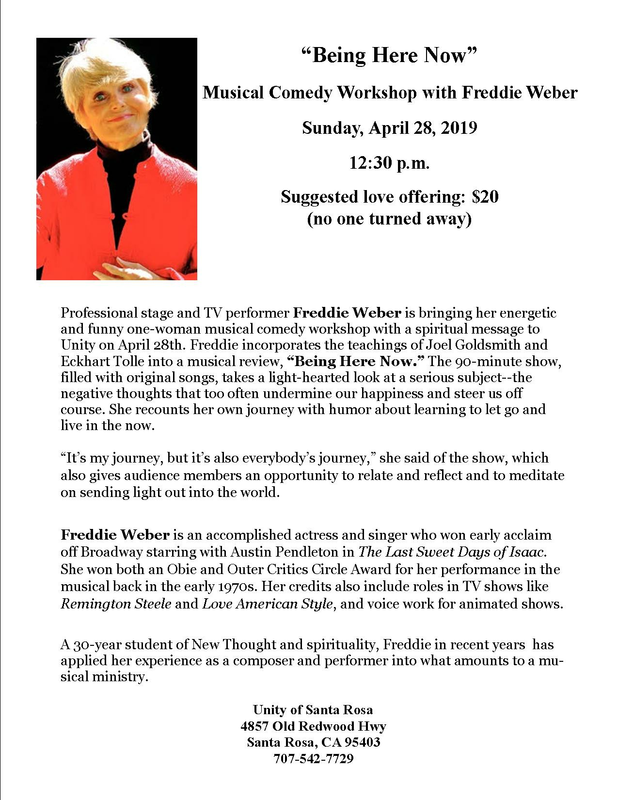 Professional stage and TV performer Freddie Weber is bringing her energetic and funny one-woman musical comedy workshop with a spiritual message to Unity on April 28th. Freddie incorporates the teachings of Joel Goldsmith and Eckhart Tolle into a musical review, “Being Here Now.” The 90-minute show, filled with original songs, takes a light-hearted look at a serious subject--the negative thoughts that too often undermine our happiness and steer us off course. 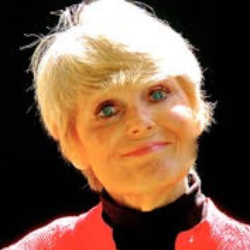 She recounts her own journey with humor about learning to let go and live in the now.